The month of Shravan has a special place in the heart of a Shraddhavan devotee. Prayers, austerities and fasts are observed in this holy month. Shree Ashwattha Maruti Pujan is performed on every Saturday of Shravan during which the idol of Lord Hanuman, sculpted by Sadguru Shree Aniruddha himself, is worshipped. Chanting of Ghorkasthodharan Stotra too is done throughout this holy month of Shravan. The much-awaited festival of Ganesh Chaturthi would be celebrated during the last week of August. 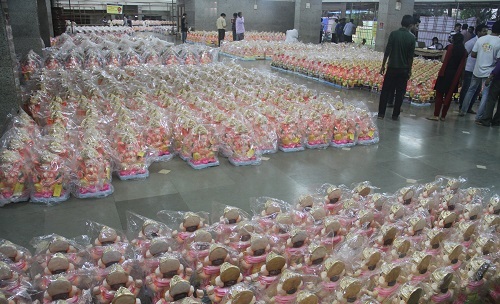 Devotees have already booked the Eco-friendly Ganesh idols of their choice much before, so as to avoid last minute rush. Over the past few years, Eco-friendly Ganesh idols have become the favoured ones among the devotees. In order to safeguard the environment against non-bio degradable and toxic elements which are otherwise used in making of the idols, Shree Aniruddha Upasana Foundation along with Shree Aniruddha Aadesh Pathak took the lead and from the year 2004, under the guidance of Sadguru Shree Aniruddha Bapu, Eco-friendly Ganesh idols were propagated by the Foundation. 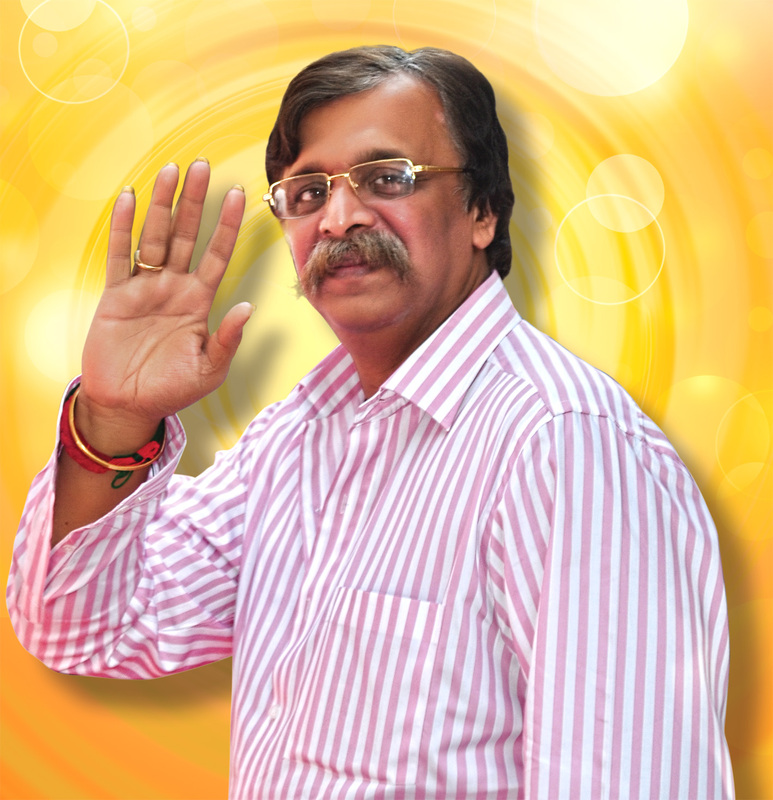 This ensured that the festival which is so very dear to one and all is celebrated in an Eco-friendly way. 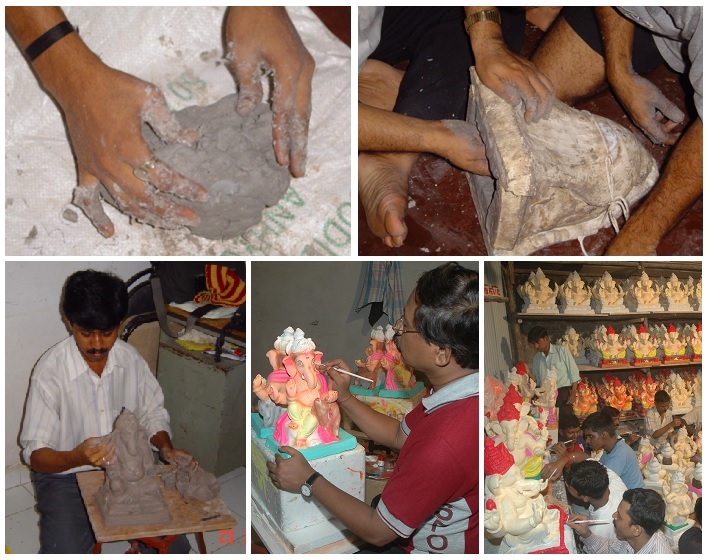 The traditional form of clay idols got transformed into idols made of Plaster of Paris (PoP) as it gained much popularity due to its cost effectiveness. PoP which is basically Calcium sulphate hemi-hydrate derived from gypsum became the most favoured material to mould the idols. Moreover, the dyes used to colour these idols contain mercury, cadmium, arsenic, lead and carbon which are not biodegradable and hence toxic in nature. Also it takes anywhere between a year to three for the idols to dissolve after immersion. The immersion of idols made from non-biodegradable or toxic materials has many environmental repercussions. With the immersion of these idols in sea or inland water bodies such as lakes and streams, the chemicals in these idols dissolve in the water. The PoP dissolves slowly, gradually releasing its harmful components. The water experiences a rise in acidity as well as traces of heavy metals. And hence the toxic waste kills plant and animal life in the water. The dyes used are poisonous and seep into the water as soon as the idol starts dissolving. This causes the levels of harmful contents in the water to increase. and other biodegradable material. The paper pulp used for making Ganesh idols in our organization is that of the Ramnaam books written by devotees and collected by Aniruddha’s Universal Bank of Ramnaam. This makes it all the more pious. These Ganesh idols are made of paper mache and natural gum. They completely dissolve in water without releasing any gases. Bio-degradable material like natural gum, whitener, etc. which is used is environment friendly. The activity is now spread over 138 places across Maharashtra including Mumbai, Pune, Satara, Kolhapur, Dhule and Ratnagiri. A fleet of more than 2900 trained volunteers are involved in this activity. 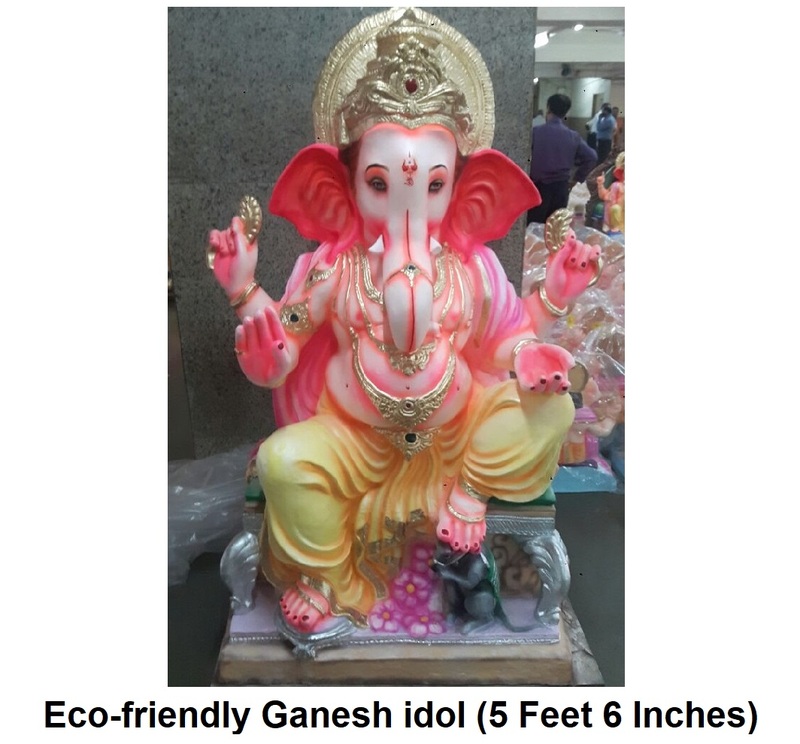 Considering the environmental advantages Eco-friendly Ganesh idols are currently promoted on a large scale across the masses. Our Organisation also arranges for free training camps to impart knowledge in making of these idols. The activity which had started with 335 idols during the year 2004 has now reached the four-figure mark with more than 4000 idols being made during the current year. 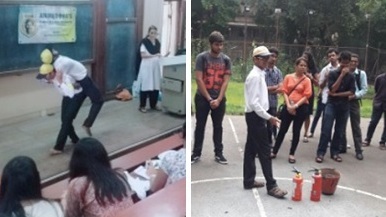 Rescue Lecture and Fire Demo was conducted by AADM for students of Seth G. S. Medical College, Parel, Mumbai on 24th July, 2017 at Seth G. S. Medical College, K. E. M. Hospital, Mumbai. A total of 25 medical students of 2nd and 3rd year attended the workshop from 10 am to 4 pm. This was organized as a part of “CONFLUENCE 2017” event attended by medical students from all over India. 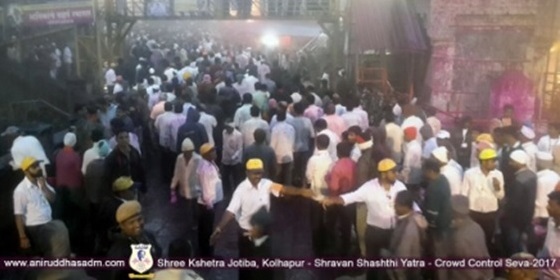 On the request of Kodoli police station, Aniruddha’s Academy of Disaster Management deployed 181 Disaster Management Volunteers for the Crowd Control and Management at Shree Kshetra Jotiba Shravan Shashthi Yatra from 28.07.2017 to 29.07.2017. 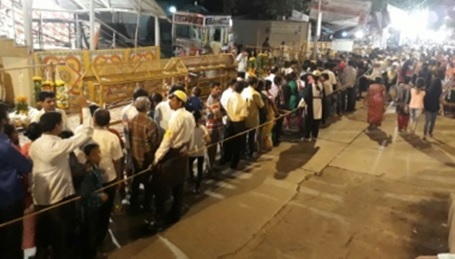 The seva was conducted in 2 shifts from 1.00 pm to 8.00 pm and 8.00 pm to 8.00 am. 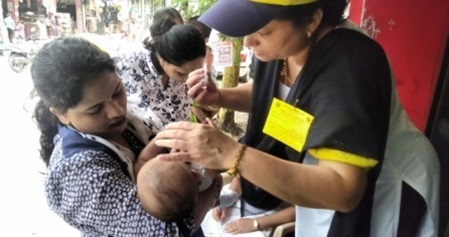 Aniruddha’s Academy of Disaster Management has been assisting in Pulse Polio Drives to various Municipal Corporations viz. Mumbai Mahanagar Palika, Thane Mahanagar Palika, Kalyan-Dombivali Mahanagar Palika, and Navi Mumbai Mahanagar Palika. On 2nd July, 2017, 86 trained volunteers of Aniruddha’s Academy of Disaster Management were present in the above mentioned areas of respective Corporations, from 9.00 am to 5.00 pm to administer polio doses to children. At Mhasobawadi, Nashik. 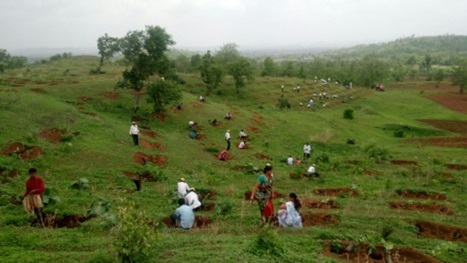 813 plants were planted on the land provided by Nashik Nagar Parishad. At Post Chinchani, Taluka Javli, Dist Satara. 121 saplings of various varieties were planted during this seva. At Lasur forest area, Taluka Chopda, Dist – Jalgaon on Thursday, 6th July, 2017.